While it's true that the proverb "Bad news travels fast" has been particularly apt as far as the widespread flooding in Pakistan is concerned, one of the country's leading knitwear manufacturers and exporters has told just-style that many firms are managing to rise above recent events. While admitting that the situation "has been chaotic," Naeem Siraj, the general manager marketing at Style Textile (Pvt) Ltd, also points out that "only the worst of the information has been flowing." This includes a possible rise in garment prices as cotton supplies come under pressure, and reports that garment buyers are shifting orders to nearby Bangladesh and Sri Lanka over fears that shipments will be disrupted. However Style Textile, which is based in Lahore, the capital of Punjab province and the second largest city in Pakistan after Karachi, hasn't been directly affected by the floods. "However, quite a bit of our yarn supply has been affected as some of our suppliers are located in the flooded regions," Siraj explains. 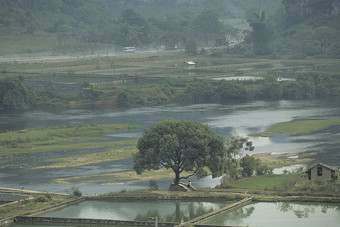 "Furthermore, energy supplies (oil and natural gas) have also been affected as their respective processing plants are also located in the flooded areas." And inland transport to and from the sea port of Karachi has also been disrupted, he confirms. But nonetheless, while "all of these challenges have resulted in interruptions, [they have] not resulted in any non-delivery issues," he stresses. With a vertical set-up that includes in-house fabric knitting, dyeing and finishing operations, Style Textile produces conventional cotton-based fabrics such fleece, jerseys, piques and ribs, as well as specialist performance fabrics used in sportswear and high-performance apparel brands. 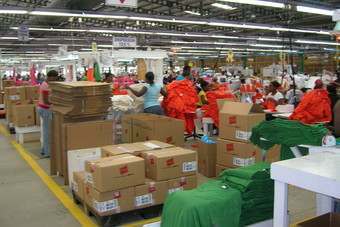 In addition to fabric production, the company also has a capacity to manufacture 800,000 garments a month for customers such as Nike, Levi's, Russell Athletic, PVH and Calvin Klein Jeans. There are more than 1,450 sewing machines and value-added services include in-house printing, embroidery and washing. While estimates suggest the flood waters have destroyed up to 30% of Pakistan's cotton crop, Siraj believes this assessment "is merely a guess right now. There is a speculation of a crop loss of anywhere between 10-40%, but none of this based on any quantifiable data," he explains. "The basis for all this speculation is that one-third of Pakistan is under water and quite a bit of this is cotton growing area. Our assessment is that Pakistan will end up with a deficit of 20%, which should be made up through imports from India. "Therefore, the road ahead will be tough, but not as chaotic as it could have been." As for the impact on prices, "the yarn rates are still on par with India. Once we have some normalcy restored, the prices should further settle down." In a nutshell, he tells just-style, "the impact is more of an immediate and temporary nature where immediate shipments have gotten affected. Otherwise, there are no indications of a breakdown." 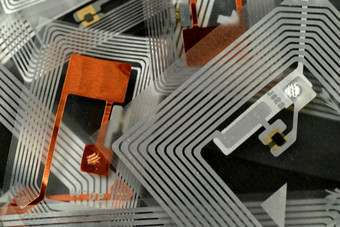 THE FLANARANT: Is RFID in apparel finally coming of age?